The World Superbike returns to Brno – The seventh round of the Superbike World Championship takes place this weekend at the WSBK Brno 2018 circuit. Brno returns to WorldSBK calendar this weekend. After five years out of the program, the Czech track will host the roar of the fastest production bikes in the world and Marco Melandri faces this event with great memories: in 2012 he signed a double on riding the BMW S1000RR and the year before he won a race on his Yamaha. 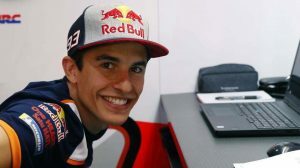 The numbers place him as one of the great candidates, especially because there are young riders, such as Michael van der Mark or Toprak Razgatlioglu, who staged a great weekend in Donington Park but arrive with much less experience to the Central European race. VD Mark was intractable on the British asphalt. He had never won a victory and left with a double that places him third in the general classification. 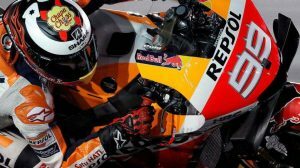 It has uncorked the bottle and in Brno, where the technical features are more matched by the lack of competition in recent years, can be very competitive. The goal is clear: adapt as quickly as possible to replace those extra miles veterans have. In the #UKWorldSBK, Jonathan Rea lived more difficulties than expected, but saved the weekend with two very important podiums for the championship, especially because Chaz Davies, his main (although distant) rival in the fight for the title was also a victim of an ominous weekend of Ducati. Those of Borgo Panigale will try to get rid of the bad taste in Brno, although the disadvantage of Davies in the general is already up to 64 points. This last championship of his bi-cylindrical Panigale has been complicated. Another rider who demonstrated a great level in Donington Park was Toprak Razgatlioglu. In the second race, the Turkish starred in a great comeback to the leading group and beat Rea himself with a ZX-10RR from Puccetti Racing. If he starts with a good luck, the fight with Xavi Forés for being the best private pilot will be very interesting. Regarding the transfer market, the situation is still very calm. 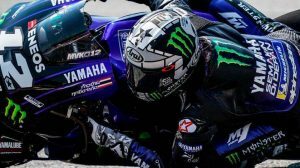 Jonathan Rea is exploring the possibility of making the jump to MotoGP and, according to Michael van der Mark, there have been some conversations between Tom Sykes and the Yamaha WorldSBK PATA. Much to advance. Sandro Cortese was reunited with the feeling of leading a World Cup after his victory at Donington Park and leads a Yamaha army formed by Jules Cluzel (2nd), Randy Krummenacher (3rd), Lucas Mahias (4th) and Federico Caricasulo ( 5th). Raffaele de Rosa, sixth in the points table, took the British podium to bring a little color to the timesheet. Right now, the key to the riders who fight for the title is to get the most out of the R6. Getting a good setting and a good preparation is a key to having those extra tenths that, lap after lap, make a triumph. A great job at a technical level and regularity are essential ingredients to proclaim champion. The last two races of the light class had a traced script: Ana Carrasco’s escape and a solo victory to be confirmed in the lead. Now, the Murcian rider enjoys a 22 point advantage over Luca Grunwald and has the opportunity to take advantage of her World Cup experience to make a difference in Brno. Borja Sánchez (4th), Mika Pérez (8th), María Herrera (15th), Daniel Valle (16th) and Manuel González ‘Manugasss’ (18th) complete the national representation in the small class. Markus Reiterberger, a pilot with a track record at WSBK, has excelled in the European STK1000. They are followed by Roberto Tamburini (2nd to 10 points) and Maxi Scheib (3rd to 21 points).